Across the world, many individuals and communities lack access to high quality and affordable healthcare, caused for example by the remoteness of their community, lack of means to pay for healthcare support, by culture, conflict or other causes. Recognizing the need to increase healthcare access for disadvantaged communities, social entrepreneurs are creating new, visionary solutions aimed to provide suitable healthcare services and in certain cases eventually even transform healthcare systems to increase the healthcare available to people and communities. The Philips Foundation and Ashoka are cooperating in a multi-year program to accelerate access to healthcare around the world by connecting social entrepreneurship with industry skills and exploring collaborative action between Philips Foundation and Ashoka Fellows. The collaboration is rooted in the Philips Foundation's longstanding commitment to increase healthcare access for disadvantaged communities through innovation and Ashoka's network of leading social entrepreneurs who advance health equality with new solutions and approaches. The Ashoka Globalizer Program is part of this collaboration and it consists of a 14-week accelerating process where fellows are engaged and connected with experienced business and strategy leaders at Philips, external strategy advisors and highly-trained Ashoka team members that will help them develop and improve their scaling strategy. At the end of the online accelerating process, Fellows will have the opportunity to convene at the Globalizer Summit in Eindhoven to share and discuss their strategy and network with leaders from different sectors. Find out more about the Globalizer Program in our five year report on the right side of this page. Philips Foundation leverages the deep capabilities of Royal Philips' employees as an industry leader in health technology to support Ashoka Fellows to overcome challenges and scale their solutions. This unique cross-sector collaboration will create and leverage shared value, addressing critical issues in access to healthcare throughout the health continuum: from prevention and promotion of healthy living, to diagnosis and personalized treatment, through to care in the home. 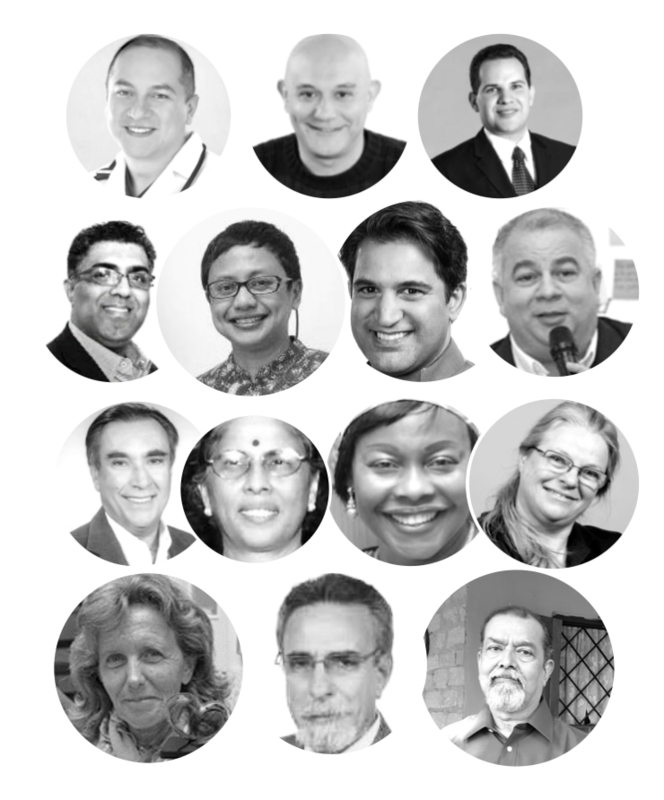 Find and select leading social innovators as Ashoka Fellows and support them; developing a robust ecosystem of innovators working towards health equality. Scale the impact of Ashoka Fellows through an accelerator program, the Ashoka Globalizer. Connect Ashoka Fellows facing obstacles and market gaps to Philips employees whose expertise, leadership, and business skills can be leveraged to co-create solutions. Foster authentic collaboration with the goal of increasing access to healthcare in disadvantaged communities. Accelerating Healthcare Access (AHA!) is an ambitious movement between business and social entrepreneurs that addresses United Nations' Sustainable Development Goal 3 (ensure healthy lives and promote well-being for all) by scaling social innovation. These social entrepreneurs—selected by Ashoka for their ability to make systemic change and increase access to healthcare—will achieve their goals with support from the skills and expertise of talented and seasoned business leaders within the leading health technology company Philips. The Philips Foundation aims to reduce health inequality by providing access to quality healthcare for disadvantaged communities. It does this by deploying the expertise, knowledge and innovative skills of Royal Philips in collaborative projects with humanitarian organizations and social entrepreneurs across the world to design, adopt and deploy healthcare solutions that are sustainable and inclusive. Up to 100 projects are running worldwide, impacting communities in countries as diverse as Spain, Austria, Kenya, UK, Italy, China, India, US, Uganda, and Sweden. The Advisory Process of this Globalizer was supported by: AlphaSights, A.T. Kearney, PricewaterhouseCoopers. In the last six years, more than 250 Ashoka Fellows participated in the Ashoka Globalizer Program. For this cohort, our 14 System Entrepreneurs have been selected among Ashoka Fellows whose aim is to systemically change the global health sector and exponentially create scalable access to care impact.